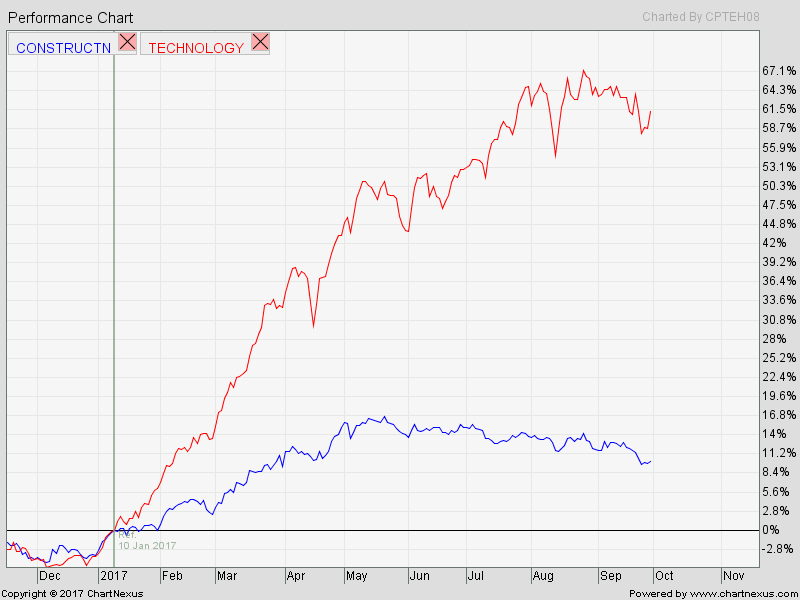 And the winner for 2017 is .... "Technology" ... you may want to plot all the indices together and compare them. This is just to show why I changed from trading construction ... into tech-stocks in 2017. 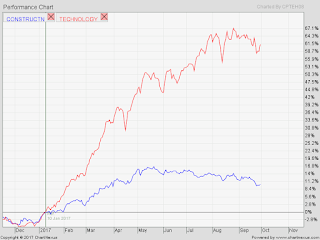 Then ... all would be wondering ... is the tech-rally over-heated or ... the trend is over?